By Train: from Leeds Railway Station, take the Harrogate Line, and alight at Burley Park Station for South Headingley, or at Headingley Station for Headingley Stadium and Central Headingley. 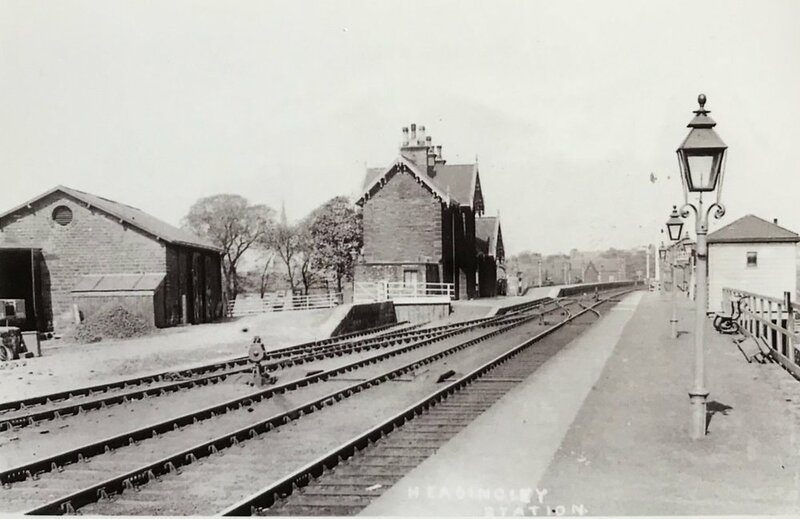 The railway line from Leeds to Headingley was opened in 1849 by the Leeds & Thirsk Railway Company, following the completion of the Bramhope Tunnel (the line already ran from Harrogate via Ripon to Thirsk). A Royal Gardens Station was opened to serve Leeds Royal Gardens (formerly Leeds Zoological & Botanical Gardens), but it closed (with the Gardens) in 1858; 130 years later, Burley Park Station took its pace, on or near the same site. This one route provides a scenic ride through a two-mile tunnel (Bramhope Tunnel), across three rivers (Aire, Wharfe, Nidd), over four viaducts, and through the open spaces of the Vale of York.